Currently, we observe that people have become compar atively more health conscious. They are found discussing about the medical facilities, expenditure on hospitalization and medicines, untimely deaths, need of exercises and advantages of yoga etc. It is understood that where there is health, there is a happiness and comfort. Health is real wealth. Good health is a pre-requisite for happy ageing, occupation and creative or meaningful long life. Of course, some efforts are required to achieve and maintain the health. Practice of yoga definitely improves your health and keeps you disease-free. Actually, health is a by-product of yoga. Main objective of yoga is ‘spiritual advancement’. Thanks to our great Rishis, Munis, Sadhus and Yogis like Patanjali, Matsyendranath and recently Swami Shivananda, Satyananda, Kuvalayanand for their endeavor to establish and propound yoga philosophy and its scientific view for the society. Yoga has 5000 years history. It is a part of our culture. It has no concern with any religion as such though the originators were Hindus. It is available to every human being. Our nation is respected for having the origin of yoga. If you visit pilgrim centres like Hrishikesh, Haridwar you will find so many foreigners approaching various yoga-ashramas and yoga gurus for learning yoga. Whether they get right type of Yoga guru is a different thing. Now through research it has been noticed that yoga manages the stress level very effectively and can alleviate many diseases, maintain the healthy status and if practiced early in life, prevent the health ailments in future. Naturally then the immediate aim of practicing yoga has become ‘to control the disease and maintain the health’. Many people think that yoga is a therapy and it can cure any disease at any stage. However, this is not true. As a rule, there are limitations to any system, even yoga. Many non-communicable disorders like hypertension, insomnia, diabetes, asthma, arthritis, hyperacidity, obesity are mainly due to stress and faulty lifestyle including wrong food habits. Fortunately, it has been proved through scientific investigation that such diseases can be very well controlled due to regular practice of yoga along with suitable lifestyle changes. The question is, even if we have all the modern technologies for our comfort and happiness, all electronic and digital gadgets and our own lifestyle why we suffer from these stress disorders? It means there is something wrong in our lifestyle. After all, what is this lifestyle that everybody talks about but hardly anybody knows what exactly it is. Irregular timings for meals, sleep, rest, waking up, Junk food, fast food consumption, absence of exercise or irregularity in exercises, frequent changes in planning and working pattern, alienation, addiction such as smoking, alcohol and mobile or internet obsession, indiscipline in all the matters, amplified passions and desires due to excess of Rajas and Tamas, disorganized, luxurious living pattern with egoistic (selfish) attitude / Scornful (disrespectful) behavior, negative thinking or approach for everything, all this account for wrong lifestyle. Naturally exactly opposite to this will be the correct lifestyle. Proper lifestyle is well disciplined and organized lifestyle. Such correct lifestyle includes regular practice of yoga. When our lifestyle is erroneous, various economic, political, social, emotional and occupational stresses can easily influence us. The risk factors are increased and we become more susceptible to stress due to decreased tolerance. As a result, level of stress hormones- cortisol and epinephrine increases which reduces our resistance power or the immunity and the disease process easily sets in. So the first step towards getting healthy is to make corrections in our lifestyle and to manage stress. Medicines are chemicals which can only control the symptoms like blood pressure, elevated sugar level etc but they cannot remove the root cause of these diseases. On many occasions, suffering persons are advised to change the lifestyle but they are not given fare idea as to how to correct it. Here are some of the elucidations. 1. Assess your both positive and negative qualities and thinking. Accept your faults and mistakes. See that you do not repeat them. 2. Make positive changes in your timings for work, yoga, exercise, hobbies, meals, rest, sleep and entertainment. Make a time table and stick to it. 3. Think positively and think happy. This neutralizes the negative emotions. It increases synthesis of nor-adrenaline and dopamine, bringing peaceful feeling to you. 4. Change your diet in terms of nutrition, quantity and the fat contents. Avoid junk foods or fast foods, bakery products and cold drinks. 5. Be friendly and affectionate with all. Be frank and ‘open’ with your friends and elders. 6. Practice yoga regularly for at least 45 minutes. It renders health and morality, and increases spirituality. You can do moderate exercises 15 to 30 minutes before yoga. 7. Wake up early in the morning before sunrise. Of course for this you will require to sleep earlier. Youngsters will require 7-8 hrs sleep while for elders 6-7 hrs sleep is sufficient. For the seniors 5-6 hrs sleep is enough. 8. Respect others and their feelings, thoughts or ideas. Appreciate them. 9. Be thankful to all particularly those who help you in whatever manner. 10.Do not be a mobile/internet addict. Don’t be their slave. They are to ease our communication, exchange of knowledge and thoughts. Put a limit to their use. These corrections in your lifestyle will make the inner atmosphere of your body mind complex conducive to establishing better health and virility. It will keep you active and creative with correct drive. It will certainly reduce your anxiety and stress level. Second step is to start practicing yoga. Remember, regular yoga practice is a part (and indicative) of an a healthy lifestyle. There can be mainly three main categories of people coming to yoga. 1. Patients suffering from the above mentioned disorders, seeking yoga therapy. 2. Normal persons who are learning and practicing yoga for health and fitness and 3. Spiritual aspirants who wish to maintain health and also to progress on the spiritual path. Naturally then the selection of the appropriate yoga practices will also be different for these three groups. So our success depends on 1.Correct selection of the yogic practices and 2.Learning from a proper yoga expert or guru. Remember, TV programs or books on yoga cannot give you instant feedback or modification as per your purpose, age and capacity. At least in the beginning you need a good yoga teacher who will introduce various yoga practices like asanas, pranayama, mudras and kriyas gradually. After such initial training for 15 days to one month, you can practice on your own. The response of our body depends upon the nature of stimulus or actions. Yoga is not an exercise though it gives momentum to various systems of our body. While selecting a good yoga teacher, see that he is expert in all the yogic methods and has spent many years in teaching, treating or training yoga. His experience in self practice and living with yogic principles etc always counts. You have a right to verify from where he has obtained knowledge of yoga, his graduation or post graduation and the experience in yoga etc. Many people will be very enthusiastic on the Yoga day. Even if they have not learnt properly before, they will practice on that day in an excitement. As a result, next day they feel bruised and therefore cannot practice anything. Then they leave the practice. 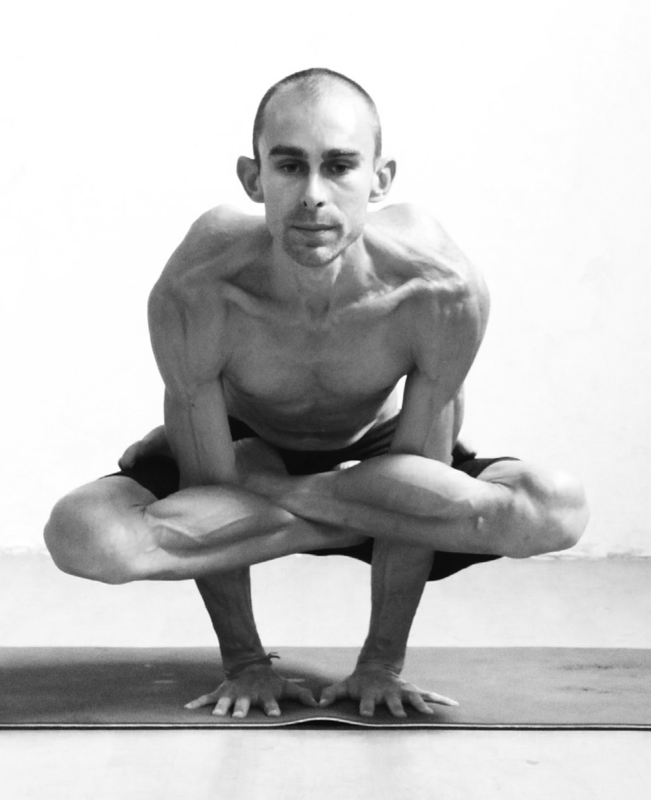 Following guidelines will help you to learn and continue your yoga practice in a right way. Remember, wrong practice of yoga may be harmful to your health. Your wellbeing depends upon what kind of yoga you are practicing, how, when and how much. 1. Yoga should be practiced early in the morning, around the time of sun rise and on empty stomach. Practicing after bathing will give you still better results. 2. Your yoga teacher will select suitable asanas, pranayama, mudras and kriyas as per your age, work or job, need and capacity. He will fix up the sequence of these practices. Practice daily in the same sequential order. After 6 months or one year take his advice for continuing same or to make any change. 3. Have faith in Yoga and the wisdom of its ancient practitioners for their vision, knowledge and contribution. Practice with utmost concentration and awareness. Experience the internal feelings, changes or response of the body while practicing. For this, it is better to close the eyes while practicing. 4. Practice peacefully, without any exertion or too many efforts. Do not apply force or jerk while practicing asanas or pranayama. Do not practice yoga mechanically. 5. If you want to practice kriyas (cleansing methods like Neti etc), practice them before asanas and pranayama. 6. If you are a patient of hypertension, diabetes, then there are limitations to certain yoga practices. Your yoga therapist will tell you what is to be avoided. 7. After the practice of yoga one should feel relaxed, peaceful and yet energetic and fresh. If you feel tired, fatigued or restless, if you perspire, feel weakness or hunger then understand that you have practiced yoga incorrectly. 8. You can notice the changes in your body functions such as digestion, defecation, sleep, freshness and energy level, vigor and vitality as well as stress-free condition within a few days to one month. If not, contact your teacher / yoga therapist. 9. It is important to make suitable changes in your lifestyle as mentioned above. 10. n case you are a patient, do not stop medicines all of a sudden because you are practicing yoga. Continue the medication. Your physician will guide you to reduce the dose or to stop the medicine, after monitoring your progress.